About By Dor Laor. 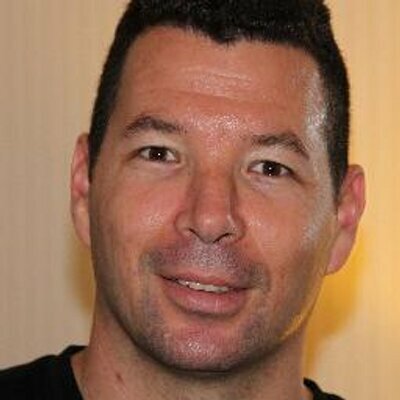 Dor Laor is Co-Founder and CEO at ScyllaDB, an open source drop in replacement for Apache Cassandra powered by C++. Previously, Dor was part of the founding team of the KVM hypervisor under Qumranet that was acquired by Red Hat. At Red Hat, Dor managed the KVM and Xen development for several years. He holds an MSc from the Technion and a Phd in snowboarding. in front of its database. This post will discuss the pros and cons of external database caches. Developers usually consider caching when the current database deployment cannot meet the required SLA. This is a clear performance-oriented decision. Caching may look like an easy and quick solution because the deployment can be implemented without lots of hassle and without incurring significant cost on database scaling or worse, database schema redesign or even a deeper technology transformation. 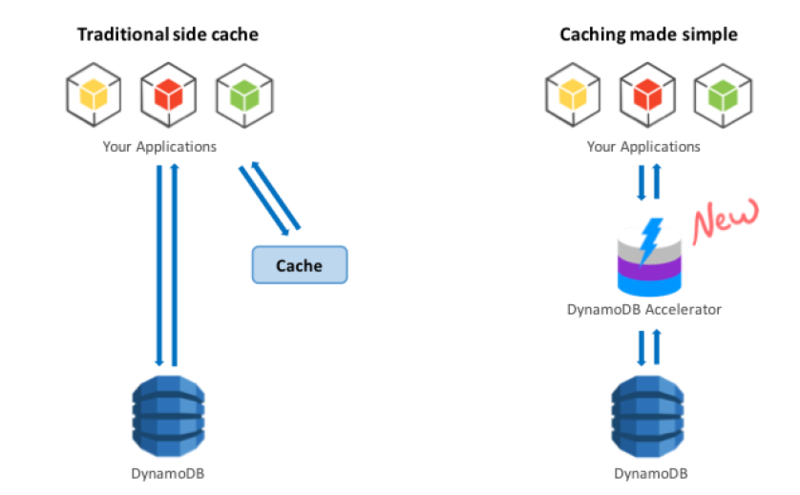 Usually, cache deployments are implemented in the form of a side cache as illustrated on the left in the following figure referenced from DynamoDB. The cache is independent of the database, and the application is responsible for the cache coherency. The application performs double writes, both for the cache and for the database. Reads are done first from the cache, and only if the data isn’t there, a separate read goes to the database. As you can imagine, questions about coherency, high availability and complexity immediately arise. Figure 1 above shows the advantages of a transparent cache like the DAX: It doesn’t require application changes and it is automatically coherent. DAX eliminates the major data coherency problem. But even a write-through cache implementation such as DAX has challenges in its internal implementation. For example, consider a parallel write + read requests case (Figure 2). A separate cache means another hop on the way. When a cache surrounds the database, the first access occurs at the cache layer. If the data isn’t in the cache, then the request is sent to the database. The result is additional latency to an already slow path of uncached data. One may claim that when the entire data set fits the cache, the additional latency doesn’t come into play, but most of the time there is more than a single workload/pattern that hits the database and some of it will carry the extra hop cost. 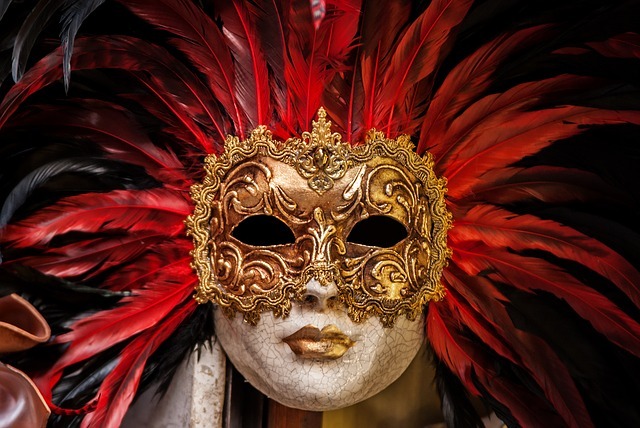 The cache’s high availability (HA) solution usually isn’t as good as the database’s own HA. Modern distributed databases have multiple replicas; they also are topology aware and speed aware and can sustain multiple failures. For example, a common replication pattern in Scylla is three local replicas, and a quorum is required for acknowledged replies. In addition, copies reside in remote data centers, which can be consulted. Caches do not have good high-availability properties and can easily fail, or have partial failures, which are worse in terms of consistency. When the cache fails (and all components are doomed to fail at some point), the database will get hit at full throughput and your SLA will not be satisfied together with your guarantees to your end users. Although the DAX design and implementation are proprietary, I tend to believe that the DAX developers did not compromise availability but it’s hard to tell what happens in a case of three availability zones. Databases are very complex and impose high disk I/O workloads on the system. Any of the queries access the same data, and some amount of the working set size can be cached in memory in order to save disk accesses. A good database should have multiple sophisticated logic to decide which objects, indexes, and access it should cache. The database also should have various eviction policies (with the least recently used policy as a straightforward example) that determine when new data should replace existing older cached objects. Another example is scan-resistant caching. When scanning a large dataset, a lot of objects are read from the disk or touched in the cache. The database can realize this is a scan and not a regular query and chose to leave these objects outside its internal cache. The database automatically synchronizes the content of the cache with the disk and with the incoming requests, and thus the user and the developer do not need to do anything to make it happen. If for some reason your database doesn’t respond fast enough, it means that either a) the cache is misconfigured, b) it doesn’t have enough RAM for caching, c) the working set size and request pattern don’t fit the cache, or d) the database cache implementation is poor. Because our malloc algorithm is log structured, the memory utilization is high—there is no need to fit memory into the size of two bulks. Allocations are copyable and we can compact the memory so it will not get fragmented over time. Allocation is append-only and thus fast. More details about the allocators can be found here. Scylla does not rely on external caches such as the Linux page cache, so it can store the objects themselves without the overhead. In case data isn’t in the cache, Scylla is aware and doesn’t incur a page fault; instead, it issues an async DMA operation to retrieve the data from the disk. Outbrain, the world’s largest recommendation engine, reduced the size of its Cassandra cluster, eliminated the memcache service in front of it, and even improved latency in the process. An example of effective caching can be found in our i2.8xl benchmark on AWS. The following figure from the benchmark shows Scylla’s disk and cache behavior during the small spread read test. Nearly all requests are served from Scylla’s cache and there is no reason to place a cache in front, on the side or behind the database. Figure 3: Scylla’s disk and cache behavior.